Be sure to like the goCapeBreton.com Facebook PAGE below to follow our many contests for free food, tickets, gifts, and more! Contest ends at noon on February 15, 2019. 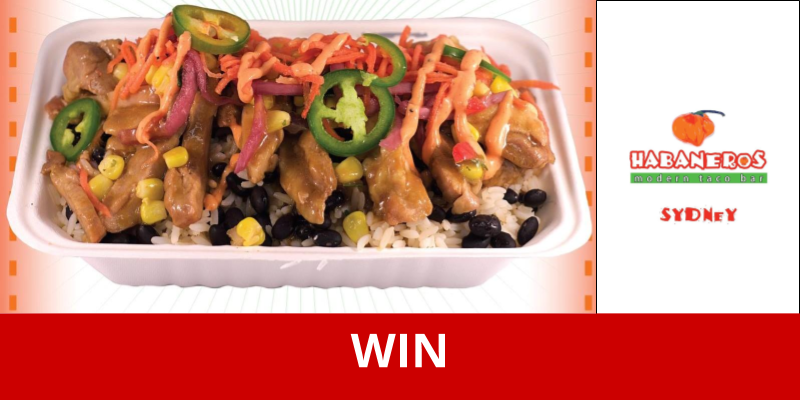 The draw will take place shortly after, and one winner will be chosen to receive a $10 gift card from Habaneros Modern Taco Bar at the Mayflower Mall in Sydney, NS. The gift certificate has No Cash Value and cannot be exchanged. The winner will be notified in the Comments section and through Messaging. The winner has 1 week to accept their prize, after which the win will be voided and another name may be drawn. The winner agrees to have their name published on goCapeBreton.com, the goCapeBreton.com Facebook Page, and other social media. Contest administrators and entrants agree to indemnify Facebook from any and all liabilities associated with the contest. Visit our Facebook page and simply LIKE the Contest Post to enter the draw. Congratulations, Valerie Michelle. Please contact via private Facebook message or email team@lokol.me to claim your prize.